Everywhere I go where there is a milling machine, there is always a set of strap clamps and T-slot nuts nearby. I didn't realize the importance of this until I actually wanted to clamp something that wouldn't fit in the vise. Basically, without strap clamps, you're missing out on 90% of clamping potential! 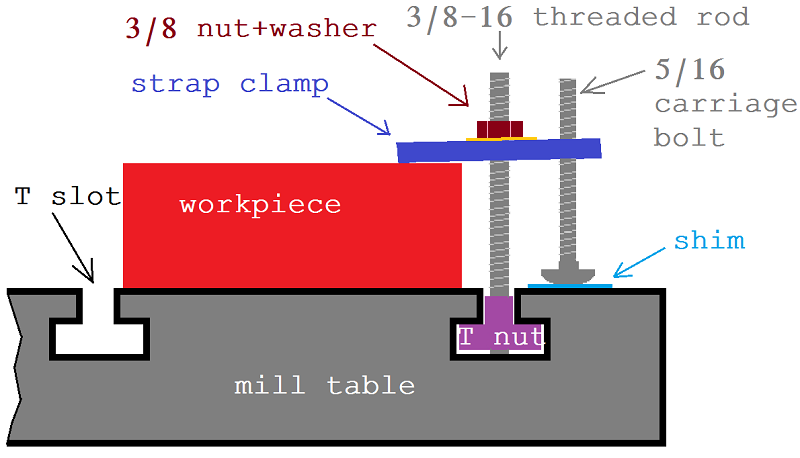 A strap clamp works by securing a clamp with a threaded rod to a T shaped nut in the corresponding shaped slot in the machine table. 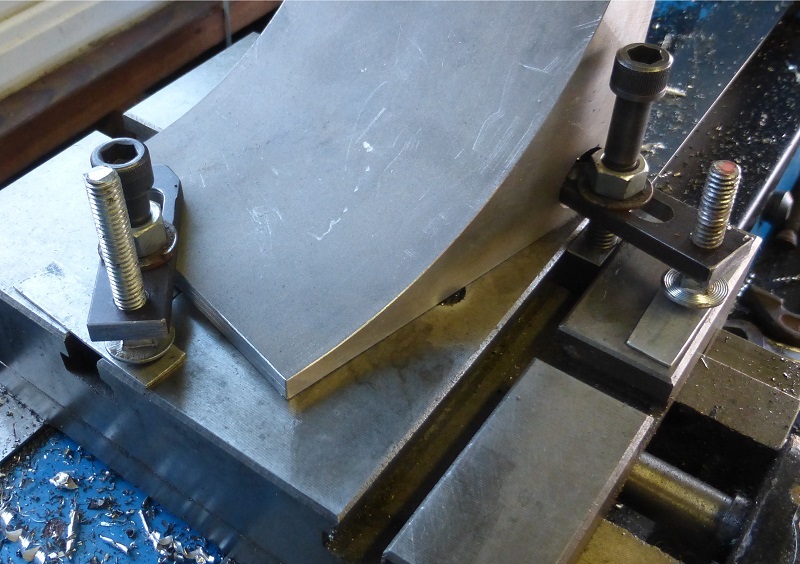 The back support for the clamp is usually provided by a staircase shaped wedge and stair shaped cuts in the back of the clamp, but that's unnecessarily complicated to make for my application. Instead, I decided to just tap a 5/16" hole in the back of the clamp and use carriage bolts to adjust the height range. The shim is so I don't mess up the table. 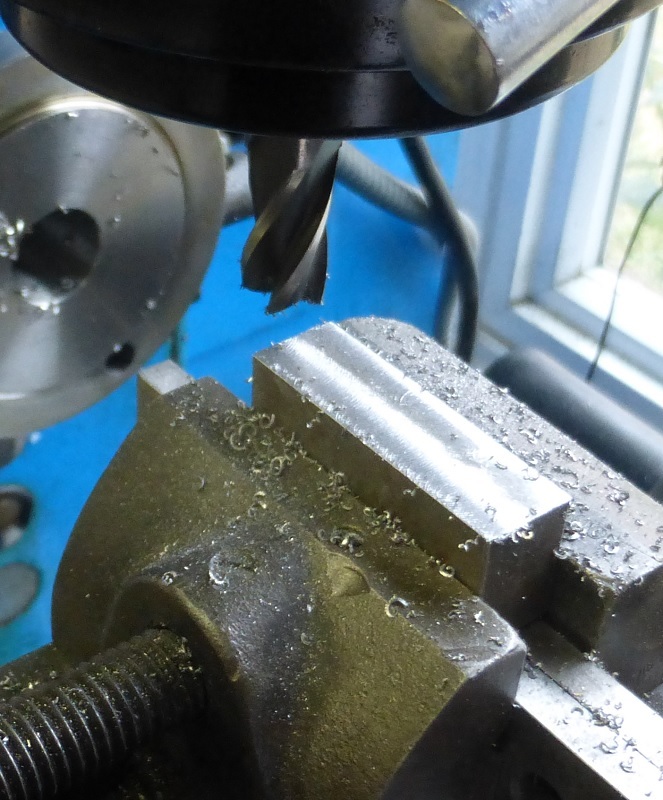 First, milling the material for the T-nuts. 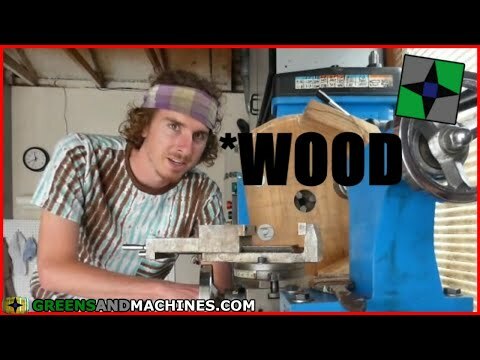 Look at that rigid setup! 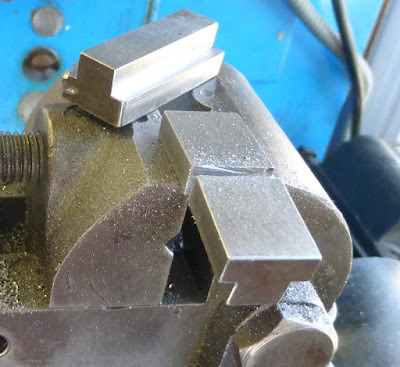 I realized a great deal of the nonrigidity of my vise had to do with the fact that it pivots and had nothing in back holding it down, so I tried a C-clamp and it worked great. 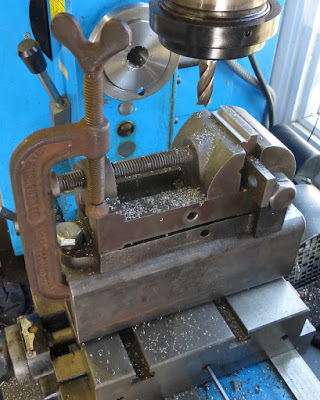 Of course, there's still the problem of the vise and support being so high off the table and not that wide at the base, but the new vise will fix that. Sawing off the pieces to make 4 T nuts. 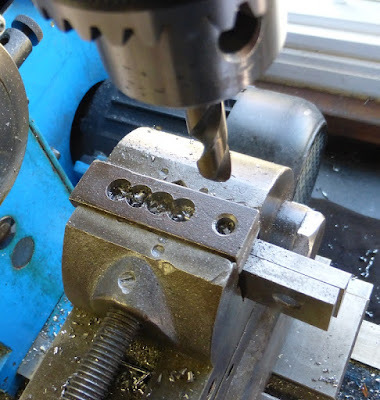 Drilling and chamfering the holes for threads. 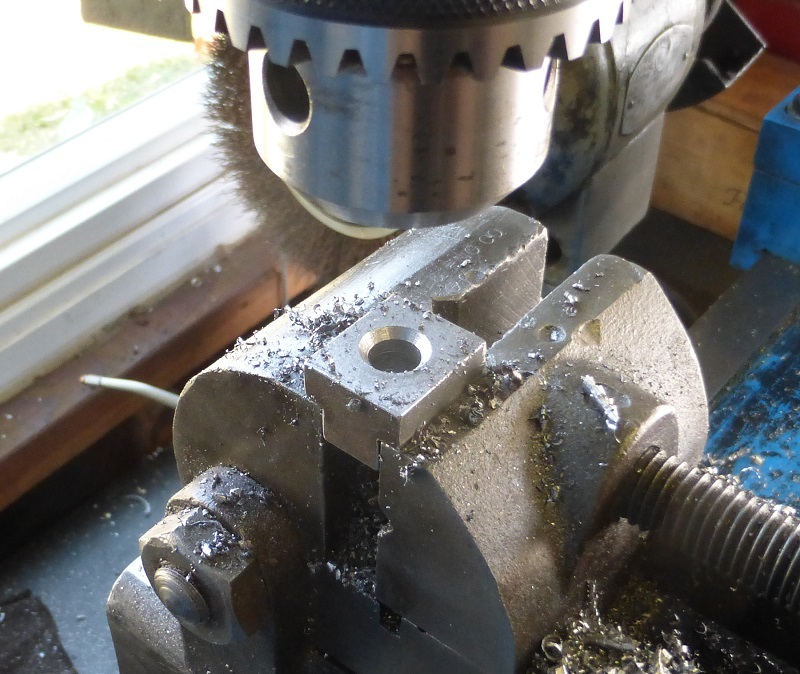 Now for the clamps. 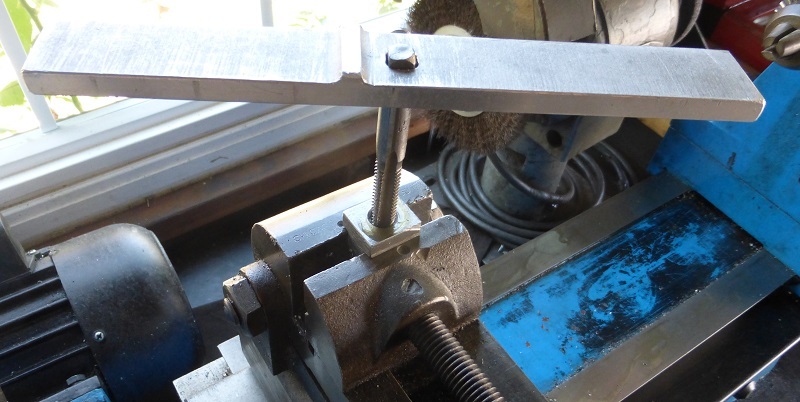 I started with some 3/4" wide material about 1/4" thick. I began by drilling the hole for the 5/16" thread and starting a slot with a 3/8 drill. 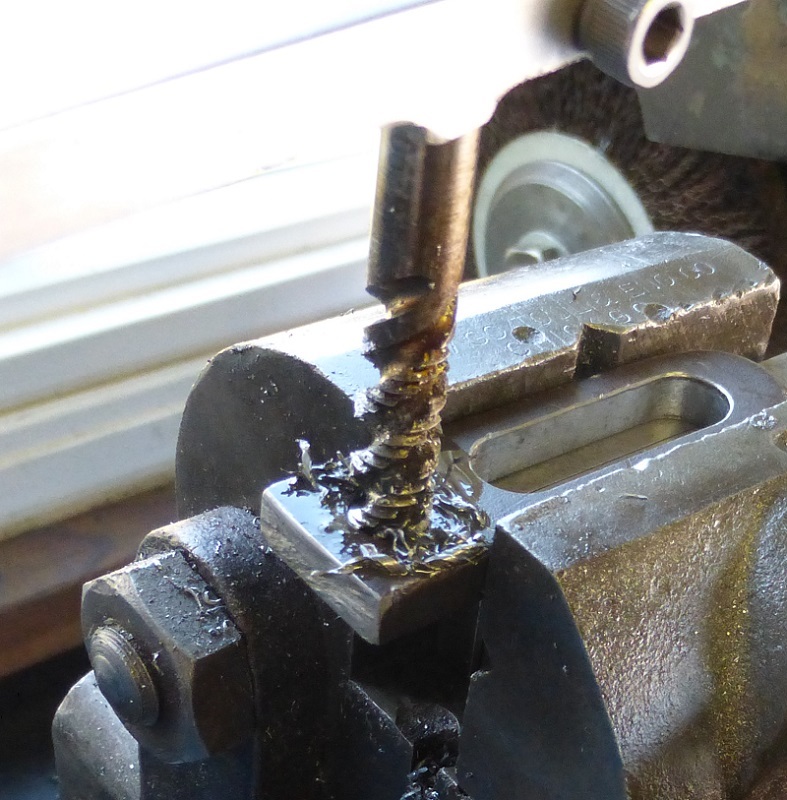 As I learned with the bicycle compressor, starting a slot with several holes mills a lot faster than just going straight for the end mill. 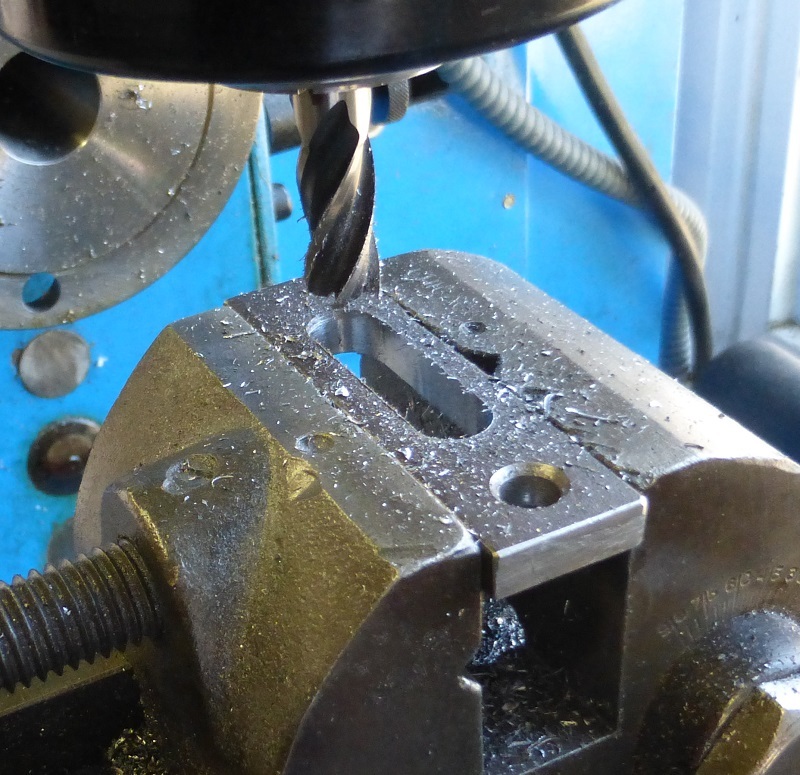 Then tapping the carriage bolt hole.